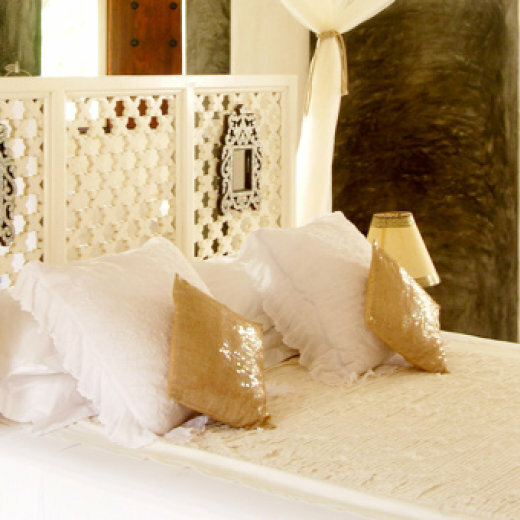 Quite possibly the most romantic place you will ever see, our honeymoon suite is the height of elegance. Expect five star service with a full staff of seven, a beautifully lush landscaped garden, swimming pool, brand new kitchen, 50 inch TV and WIFI for guests. 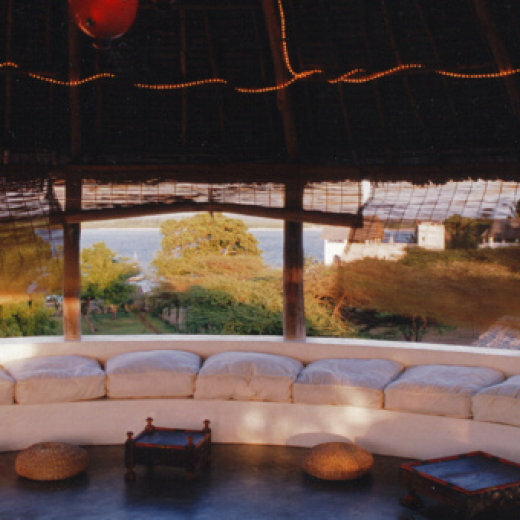 The house is situated on an island on the east coast of Kenya. It is a beautiful small island that has a strong history for being one of the most important shipping ports in kenya's History. It now resides as a small remote getaway. The island offers allot of space and freedom, with no cars just sand and small stone pathways. Everything is within walking distance with most of the architecture on the island matching that of its historical muslim style, with macouti roofing and beautifully decorated wooden doorways, with the use of lime stone and coral for building materials. The house is opened out allowing allot of natural sunlight to access the property throughout the day and never feels like you are inside for to long. All the bedrooms consist of double beds with two being outside terrace rooms for those who feel like escaping the confines of being inside, the rooms are fitted with cupboards and bedside tables as well as large curtains to provide privacy as well as a refreshing breeze. 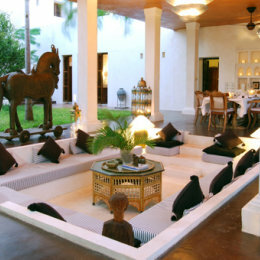 The space used for dinning is an outside table covered by the terrace walkway that is situated in the middle of the house situated in the main converging are of the house. The water used in the house is taken from out well which is not drinkable for those who would be curious as to weather the tap water would be ok to drink, this includes the shower water which is heated using solar panels. The island is small with their being local stores and markets as well as a few kenyan upmarket stores. There are bars and restaurants in Shella as well as some fun restaurants to go to on the island opposite which is a quick boat trip across. The island provides a great open beach free of people as well as snorkelling, waterskiing, kite surfing and well as deep sea fishing that can be organised with the local hotel 'Peponi' but this also depends on the time of year. Thanks to SleepOut for all your help with our booking we had a great time and adored the house. A couple of things that were quite frustrating: -The internet did not work at all, I know it's island life but a few of us had work to do and we had specifically requested wifi. - the standard of food and creativity was average, I have stayed in Lamu many times in houses and the food has been fantastic, this was quite disappointing. Much of the fish was over cooked and the tuna we got for new year was inedible, I has specifically asked him not to over cook it but sadly this didn't happen. - I think it may need spraying as the mosquitoes were awful especially under the tree on that lovely bed. Over all it was a great stay and I would love to take the house again if it was available, just thought it would be worth mentioning the above. Katy, thank you so much; your dog was looked after and many of your friends were asking about you and wishing you were there.Thanks again, oh and Michael really was brilliant. While Katy's home was beautiful and the staff was very nice, we were not too pleased with the fact that she basically wanted us to cover the cost of her staff. We were very generous and paid a deserving tip to the staff and some friends even gave extra to specific members who supported them the most. But for example we only saw 3 people and not the 5 she had mentioned, etc. We don't think she went above and beyond for us. We had a lovely time at Dhow House. We had a lovely stay at Katy's gorgeous house. Staff was very friendly and the food delicious. Will definitely stay here again! It was really excellent. Everything was really really good. We will definitely be visiting again. Beautiful place with a huge garden and quiet surroundings. We loved the decoration and it looked absolutely stunning, especially after dark when the lights are on in the garden and main areas. We rented the suite, so it was a lot of space for us, but loved it and it felt very exclusive. The staff was kind and helpful and I had my best swahili fish curry there. The chef was fantastic. We've just arrived home from our honeymoon. We had a wonderful time in your house for the last two days. It's a fabolous house and your staff are wonderful, we were gutted that we didn't have more time. The level of professionalism and hospitality was far superior (in our opinion) in dhow house than in the majlis. Chui was brilliant also, really helpful and friendly. The food was superb also (again better than we experienced in the majlis, which we had thought was excellent also). We'll defo be recommending dhow house to friends and family. We notice that it is not on tripadvisor so we are unable to place a review there currently. Thanks for all your help and best of luck for the future!